Party season has arrived and if you’re like me, you have an influx of invitations coming from your fabulous friends who are either getting married, having babies or hosting parties. Not a bad thing; however, as you count the total events you’re attending, finding stylish outfits that won’t break the bank can be difficult. And with today’s social media takeover and the motto of, “If you don’t post a photo, it never happened,” you don’t want to be photographed wearing the same outfit for multiple occasions. I personally love dresses and would be happy wearing them every day if I could. You truly can take any dress from day to night. They’re an easy go-to that instantly elevates your look and is guaranteed to leave you turning heads. Get it, girl! Everyone loves to dress to impress, right? 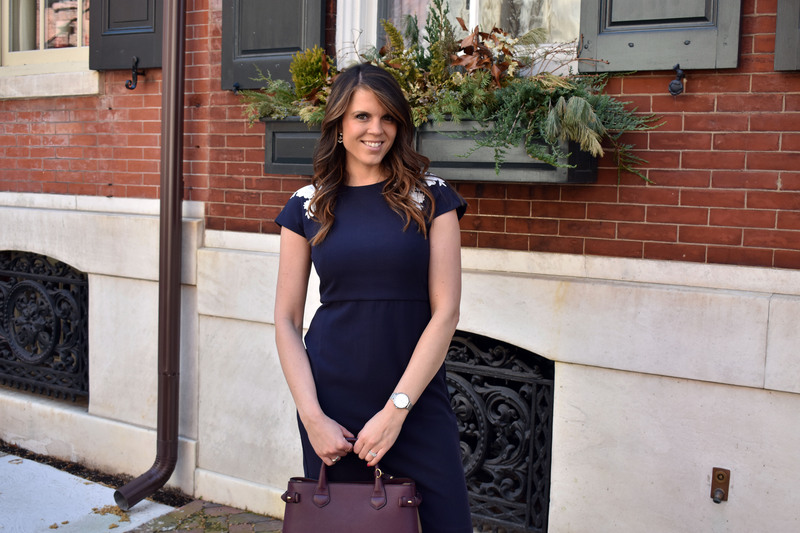 Over the weekend, I rounded up some of my current favorite spring dresses for any occasion that can be easily worn multiple times with the right accessories! The blue dress I am wearing in these photos has to be one of my favorite finds this season. I can easily wear it to work or to a social/business gathering. Whether it be a wedding, shower or business meeting, I feel like I can conquer anything in this dress. It’s all in the details and this floral detail with cap sleeves adds an extra feminine touch that gives me options with accessories. The dress is very flattering but does run larger – I recommend going down one size. But if you like to wear your dresses a bit looser, stay to your normal size. To change up the look from work to a special occasion, I would add a belt and some bling. The wrist bling you see is a new addition and it’s from the Vincera Collection by Vincero. The watch is very elegant and truly adds some glam to my style. Super chic, easy to put on and can go with any outfit. Check them out and be sure to use STYLE10 to receive 10% off your order. A few other pieces in their collection have caught my eye. Here are some of the additional finds that I have recently purchased or are in my shopping cart. Have a favorite dress or found one you are about to purchase? Share below!